The Parliamentary force, after the Siege of Gloucester marched via Cricklade to Hungerford and were on their way to Reading, they were headed off at Newbury by the Royalist force that was commanded by the Earl of Essex. The First Battle of Newbury would become the last major battle of the English civil war to be fought entirely by Englishmen, soon after King Charles I would gain support from both the Scottish and Irish. 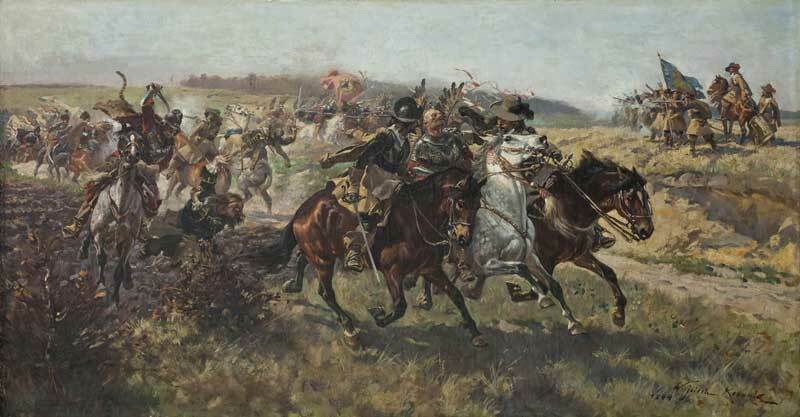 Cavalry at the First Battle of Newbury during the English Civil War in 1643. 19th September 1643 - Prince Rupert arrived at Newbury with the Royalist army two hours ahead of the Parliamentarian army led by Robert Devereux (3rd Earl of Essex), and blocked the road to London. Prince Rupert wanted to wait for supplies to arrive, but was overruled by King Charles I. Both the Royalist and Parliamentary armies were of a similar size of 15,000, but the Royalist had superiority being that it included Prince Rupert's cavalry. King Charles I had the larger army, but was low on ammunition. The Earl of Essex stayed at Biggs Cottage (still survives today) along Enborne Street prior to the battle that was to start in the morning. 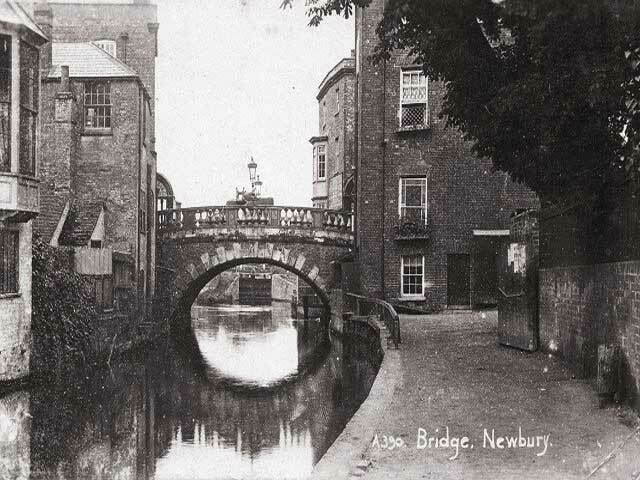 20th September 1643 - Both the Royalist and Parliamentarian forces deployed their armies between the River Kennet and ran through the town and the River Enborne that was to the south of Newbury. The area of Wash Common and Round Hill (Cope Hall Lane) separated the two armies, with the Royalists to the east and the Parliamentarians to the west. Prince Rupert's Royalist cavalry was located just north of the River Enborne, and in-front of the area of Wash Common. Sir John Byron's foot soldiers supported by cavalry were to the south of the River Kennet, and in the centre was Sir Nicholas Byron's foot soldiers. The Parliamentarians were deployed to the west of the Royalist force, Sir Philip Stapleton's foot soldiers were supported by cavalry located just north of the River Enborne and opposite to Prince Rupert. Thomas Middleton also had a combined force of foot soldiers and cavalry that were located just south of the River Kennet, and opposite to John Byron. Phillip Skippon was in the centre and in front of the area of Round Hill with his army of foot soldiers, with the London Trained Bands foot soldiers in reserve just behind. The artillery was also place in front of Round Hill with a small contingent of Calvary. At 7am the Parliamentarian artillery opened fire on Sir Nicolas Byron's foot soldiers, that were advancing to the area of Round Hill where the foot soldiers of Phillip Skippon were located. Both sides were engaged in fierce fighting, Sir John Byron's musketeers ran out of gunpowder, fortunately the Royalist cavalry saved them by charging in to Skippon's infantry and gaining some ground from the Parliamentarians. The Royalist cavalry of Prince Rupert that were towards the south, charged on the position held by the infantry of Phillip Stapleton. 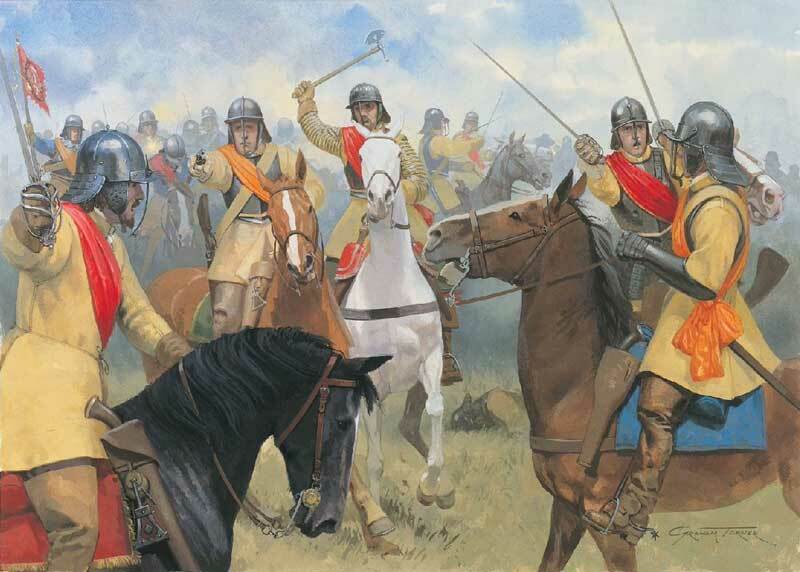 The charge was not as effective as Prince Rupert hoped for, the nature of the enclosed fields gave a Parliamentary advantage for the infantry, neutralising the force of the large cavalry charge. The Earl of Essex now released the London Trained Bands that were held in reserve, to reinforce Skippons infantry that had been push back by the Royalists. Sir John Byron's infantry in the north near the River Kennet, advanced on the opposite Parliamentary position of Thomas Middleton's infantry. Once both forces had engaged, they found themselves in stalemate with no ground lost or gained. The battle would continue until the evening; both sides had heavy losses. The Royalist forces were demoralised that they had not advanced in the battle, they had also suffered heavy casualties, which included the loss of Lucius Cary 2nd Viscount Falkland during the 12 hours of fierce fighting. 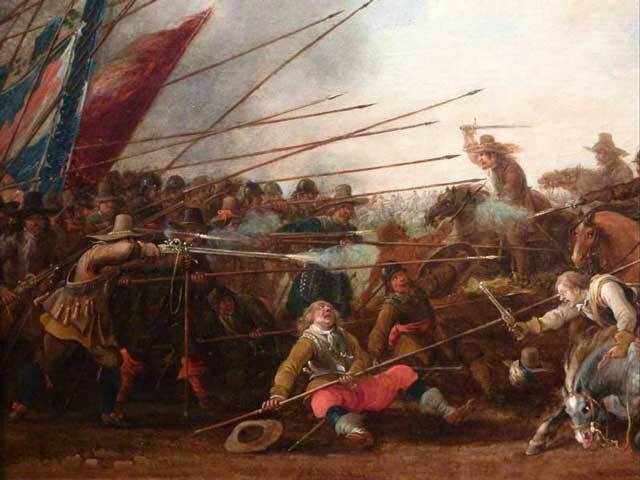 Whilst gallantly charging the towards the Parliamentarian musketeers, Lord Falkland received a fatal musket-shot in the stomach, and fell from his charging horse. The Royalist musketeers were now critically low on gunpowder, so King Charles I decided to withdraw his forces in the cover of the darkness of the night into Newbury. 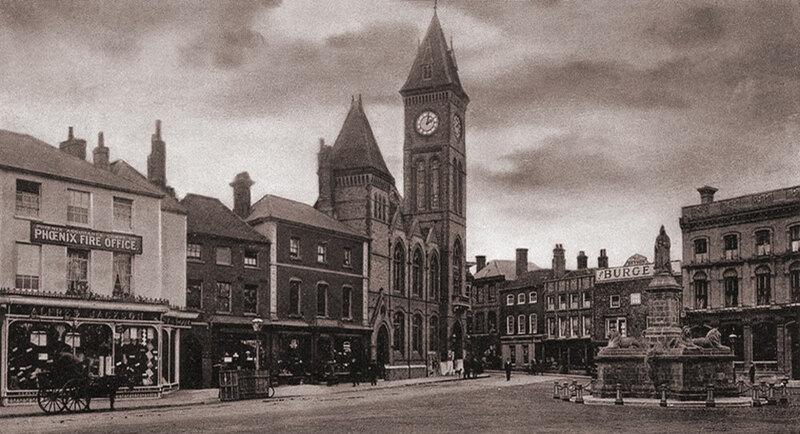 The body of Lord Falkland was taken to the Guildhall, Market Place in Newbury, along with the bodies of Lord Carnarvon, Earl of Sunderland and other gallant Royalist officers. 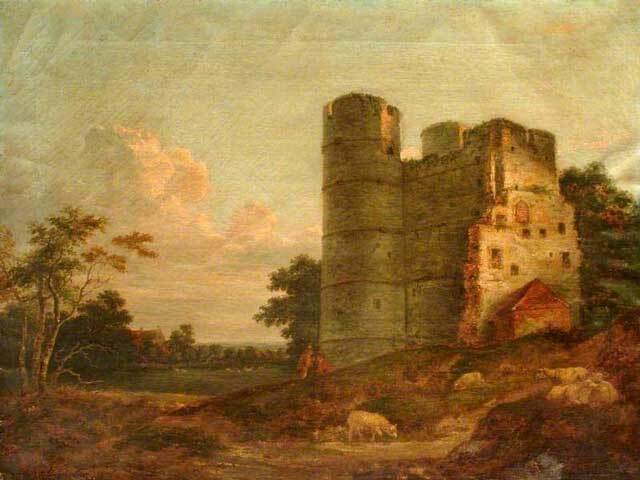 21st September 1643 - During the early hours of dawn, the Earl of Essex's artillery fired upon the fields that the Royalist forces were in the previous evening, but unknown to the Parliamentarians they were firing upon empty fields. The Earl of Essex was now able to lead the Parliamentary forces from Newbury, and towards Reading. Along the way, a small skirmish happened at Aldermaston. After the short delay, they carried on their march and arrived at Reading on 22nd September 1643. 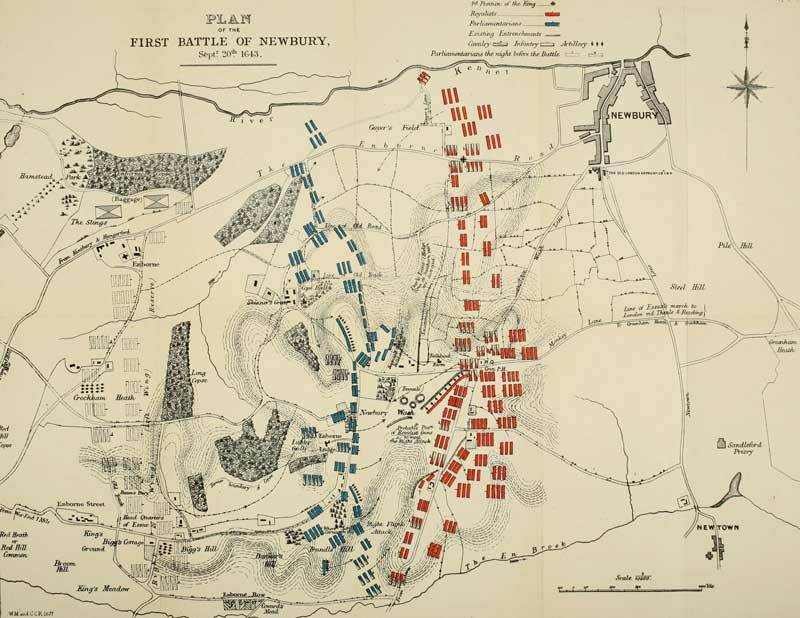 The Second Battle of Newbury that lead to the defeat of the Royalists force of King Charles I during 1644.